Hsin-Yun Huang | The Chamber Music Society of Lincoln Center. Violist Hsin-Yun Huang has forged a career performing on international concert stages, commissioning and recording new works, and nurturing young musicians. She has been soloist with the Berlin Radio Orchestra, the Tokyo Philharmonic, the Taiwan Philharmonic, the Russian State Symphony, Zagreb Soloist International Contemporary Ensemble, and the London Sinfonia. She performs regularly at festivals including Marlboro, Santa Fe, Rome Chamber Music Festival, and Spoleto USA. She tours extensively with the Brentano String Quartet, most notably including performances of the complete Mozart string quintets at Carnegie Hall. Recent highlights include the complete Hindemith viola concertos with the Taiwan Philharmonic and Taipei City Symphony, and concerto appearances at Alice Tully Hall and in Central Park. She has commissioned compositions from Steven Mackey (Groundswell, which premiered at the Aspen Festival), Shih-Hui Chen (Shu Shon Key) and Poul Ruders (Romances). Her 2012 recording, titled Viola Viola, for Bridge Records, included those works along with compositions by Elliott Carter and George Benjamin; the CD won accolades from Gramophone and BBC Music Magazine. Ms. Huang first came to international attention as the gold medalist in the 1988 Lionel Tertis International Viola Competition. In 1993 she was the top prize winner in the ARD International Competition in Munich, and was awarded the highly prestigious Bunkamura Orchard Hall Award. 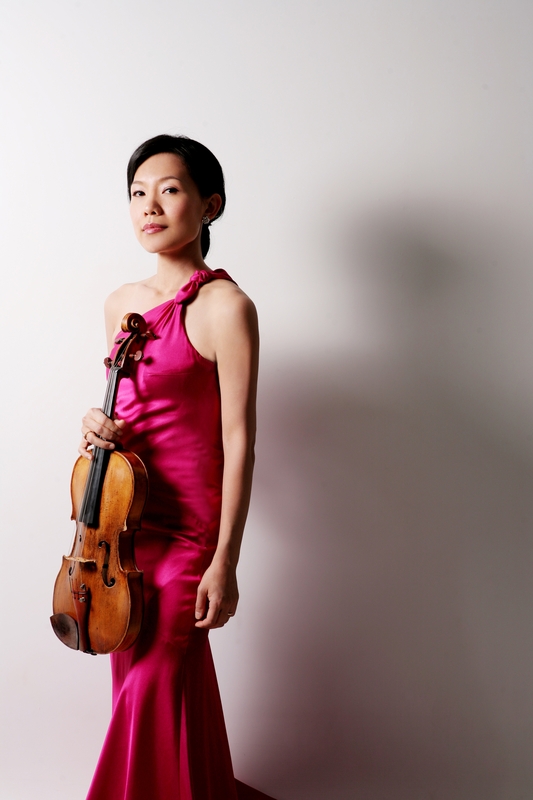 A native of Taiwan and an alumna of Young Concert Artists, she received degrees from the Yehudi Menuhin School, The Juilliard School, and the Curtis Institute of Music; she now serves on the faculties of Juilliard and Curtis.